The sub-section of State Medicine was originally founded in 1882, as a branch of the Section of Medicine. In 1951 the name was changed to the Section of Public Health, and it was changed again in July of 1966 to the Section of Epidemiology & Preventive Medicine, later amended again to the Section of Epidemiology & Public Health. As with the other sections this section is governed by a President and council, and hold regular meetings at which members present cases. President – Charles A. Cameron, M.K.Q.C.P. Dr. C. A. Cameron, President of the Sub-Section, delivered an Introductory Address, dealing at considerable length with the subject of public hygiene from the earliest times, and referring particularly to the sanitary laws and their administration in foreign states. In Plato’s “Ideal Republic,” in the writings of Xenophon, Hippocrates, and in the Theocratic legislation of the Jews, were the earliest references to sanitary laws and the duties of the professor of preventive as compared with curative medicine. In the middle ages little was done to promote the public health. The first General Public Health Act passed in the United Kingdom dealt exclusively with Ireland, and came into operation in 1818 – a most valuable Act. The Towns Improvement Act of 1847 also dealt only with Ireland, and some of its sanitary provisions were superior to those of the Public Health Act of 1878. The fatal defect was the purely permissive nature of its provisions. The various Sanitary Acts were reviewed in detail, and praise was given to the Irish Registrar-General for showing the death-rate per one thousand persons in eighteen different classes of society in Dublin in his weekly returns since January last. The sanitary organisations of the chief Continental States and of the United States were fully described. Except in Scandinavia, they were inferior to the British sanitary administration. The municipal authorities had very little power, and the sanitary police were altogether under the control of the Government. In some Belgian and French towns a municipal bureaux of health had recently been constituted, somewhat on the model of the British Local Boards of Health. In one department of public health – namely, the systematic inspection of food, drugs, and several poisonous colours – the sanitary authorities of France, Germany, Belgium, and Holland were more vigilant and active than is the case in the United Kingdom. In Holland a most severe system of compulsory notification of infective diseases existed. For Your Interest: Address in State Medicine to the State Medicine Sub-Section of the Academy of Medicine in Ireland. By Thomas Wrigley Grimshaw, M.A., M.D., Fellow of King and Queen’s College of Physicians; Registrar-General for Ireland; Chairman of the Sub-Section. I have to thank the Fellows for the high honour of being chosen Chairman of the Sub-Section of State Medicine of the Academy of Medicine in Ireland, the duties of which I shall endeavour to fulfil to the credit of this Academy and, I hope, to the advantage of State Medicine in Ireland. There are many methods which may be pursued in choosing the subject of a Presidential Address, but as a rule a Chairman selects one of two, when it becomes his duty to deliver an annual address; he either chooses a subject which he has specially made his own or to which he has given special attention, or he adopts the plan of passing in review recent events connected with those subjects which it is the function of the Society over which he presides to study. On the present occasion I shall adopt the latter plan, and deal with the more important events connected with the public health which have occurred during the past year, and the principal points which have given rise to public discussion or attracted public attention since Dr. Cameron addressed the Sub-Sectlon in February, 1883. 1. The state of the public health and any exceptional circumstances which may have arisen, such as epidemics at home or abroad. 2. Matters dealt with by our Legislature, which have either resulted in Acts of Parliament, been considered during the discussion of bills, or raised valuable discussions in Parliament on abstract questions. 3. Other sanitary questions of the day which have especially attracted public attention. 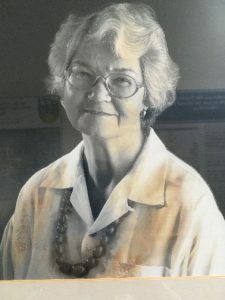 At a General Council Meeting of the Royal Academy of Medicine in Ireland held in April 1980 Dr. Jacqueline Horgan raised the question of the award of a bronze medal for members of the Section of Epidemiology. Dr. Horgan had been elected a Fellow of the Academy in 1966. The President of the Academy Dr. M. I. Drury said that she should put a proposal to the Council. She did. Dr. Horgan was nominated for election to the General Council in May 1980. She was duly elected. The Bronze Medal in Epidemiology was first awarded by the Section of Epidemiology and Public Health, Royal Academy of Medicine in Ireland in 1983, to promote the recognition and dissemination of research in epidemiology. The prize is presented annually to the best oral presentation of work of epidemiological and /or public health interest. Over the years this medal has been won by many of those currently prominent in public health in Ireland, and is a well recognised marker of distinction in epidemiology. The Bronze medal meetings take place annually and sadly Dr. Jacqueline Horgan-Coughlan, who had retired from the Department of Pubic Health Medicine and Epidemiology, University College Dublin, died 17th January 1996. She was a past President and Secretary of the Section of Epidemiology and Public Health. In 1998 the name of the medal was changed to the Jacqueline Horgan Bronze Medal, in commemoration of Dr Jacqueline Horgan, late of the Department of Public Health Medicine and Epidemiology in UCD. This was done in recognition of the great contribution that she made to public health and epidemiology in Ireland in her lifetime. The competition for the medal is by submission of an abstract of work of epidemiological and /or public health interest. Abstracts are reviewed, and between five and eight may be chosen for a 10-minute oral presentation at a special bronze medal meeting. The meeting is usually held in November each year. The competition is judged on the basis of scientific merit of the work presented, its importance to public health, and on the quality of the presentation. Selection for presentation at the meeting is prestigious and provides an opportunity to present epidemiological work to one’s peers. Abstracts from the meeting are published in the Irish Journal of Medical Science. Presentation at this meeting does not affect subsequent publication or presentation. All doctors and other professionals working in the field of epidemiology or public health are encouraged to enter this competition. It is not confined to doctors nor to specialist registrars, and entries from candidates on more than one occasion are welcomed. The more submissions received, the better the competition will be.